The case against a man accused of killing an 11-week-old puppy with a hammer was adjourned for a week on Friday. Kyle Keegan (23) appeared at Craigavon Magistrates Court via videolink from Maghaberry where he is in custody accused of causing unnecessary suffering to a dog on February 3. His defence solicitor told the court that Keegan, of Gilpins Manor in Lurgan, might apply for bail when the case is next before the court on March 9. 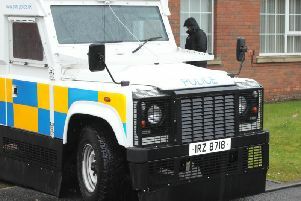 It is understood Keegan was arrested after police were told a puppy had been killed in an alleged hammer attack at a flat in Ailsbury Park, Lurgan. District Judge Bernie Kelly adjourned the case for a week.